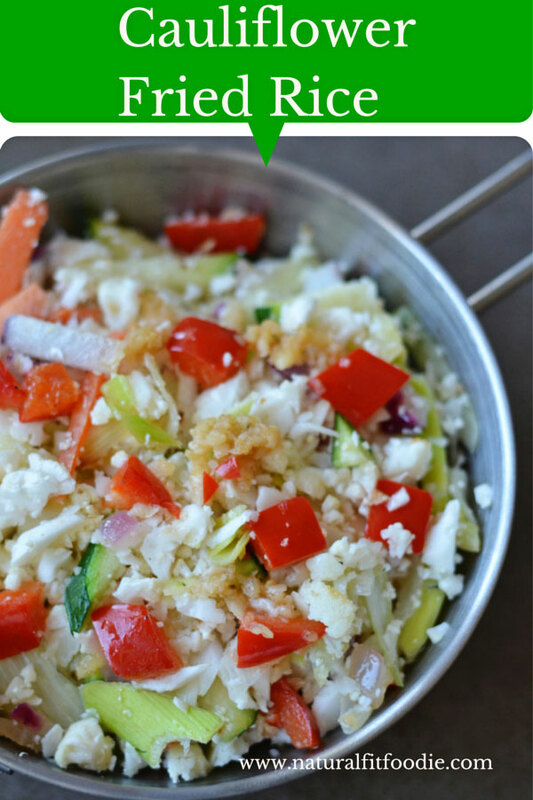 This Cauliflower Fried ‘Rice’ makes for a great low carb side dish. Today I made cauliflower rice. Have you tried it yet? I used to hate cauliflower. Mostly because of that awful stench you get when its cooking. In fact the smell is what probably first put me off cabbage and broccoli as well. But cauliflower is a healthy whole food packed with B vitamins, vitamin K, omega-3 fatty acids, vitamin C and potassium. So I buckled up and made me a rice substitute. 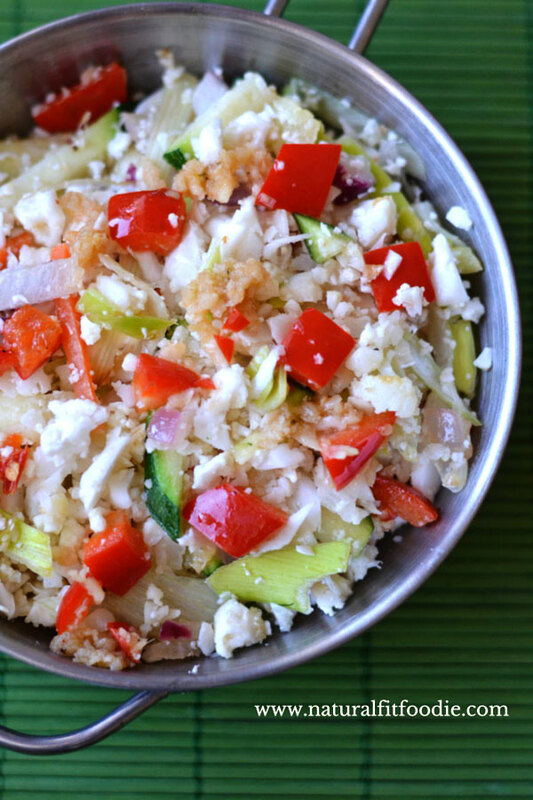 Healthy Fat – I decided to stir fry the cauliflower rice with coconut oil and mixed vegetables. To my pleasant surprise it actually smelt good. Stir fried or sautéed – I later read that the best way to avoid the dreaded stench is to steam or sauté it. Supporting flavour boosters – This dish comes together really quickly thanks to the packaged chopped vegetables. Sometimes you need to cut corners where you can with no compromise on nutrition. My packaged wok mix contained chopped carrots, zucchini, red bell peppers, scallions, purple onions and cabbage. I’m pretty sure you can find something similar in most supermarkets around the world. One head of cauliflower makes a lot of rice. So I stir fried half one day and the remaining half the next. Since I don’t know how well it will reheat. How to make Cauliflower Rice in a food processor Melt the coconut oil in a wok. Add ginger and sauté until fragrant. Add the cauliflower rice and mixed vegetables in the pan. Mix thoroughly. Cook until the cauliflower is tender. Cut or break the cauliflower into florets and discard the tough inner core. 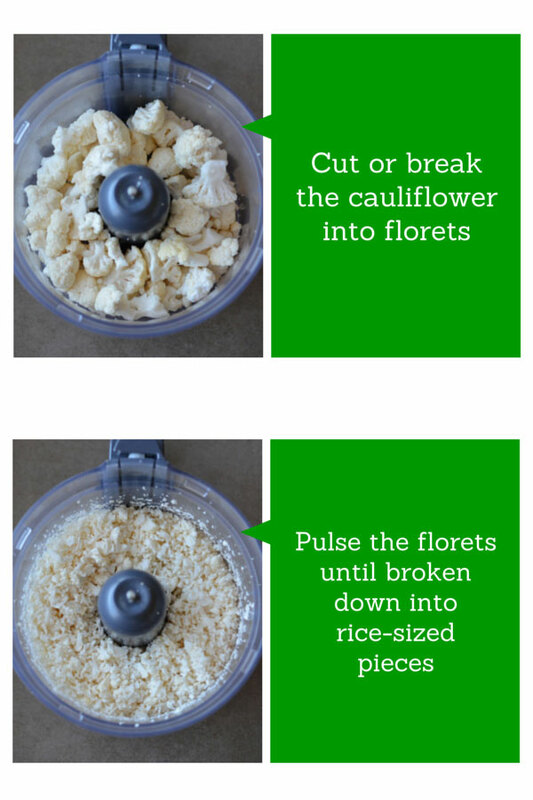 Work in batches and pulse the cauliflower in a food processor until it breaks down into rice-sized pieces. Add the cauliflower rice and mixed vegetables to the pan, mixing thoroughly. Cook until the cauliflower is tender. Love this recipe! We make one similar, but might try your version next time. Thanks for sharing! I love cauli-rice! We have it once a week – it’s a nice change up! Yours is SO pretty too! I might need to get my hands on some tomatoes if I can find any this time of year! Isn’t is awesome Renee? My whole family loves it!! Very pretty! I love making these kinds of dishes. Ohh yum, this looks perfect for our upcoming potluck! I like how colorful yours is! Thanks Vanessa! Hope you’ll like it. Looks so yummy! I love all of the veggies in it. Give it a try Linda, I’m sure you’ll like it… 🙂 Thanks for sharing! I adore cauliflower rice. I love your adaption to it. Love the ginger idea. 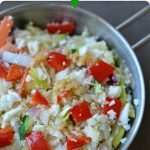 I have wanted to try cauliflower rice so I am delighted that you shared the process! This dish looks so appetizing! Thank you so much for sharing this healthy and delicious Cauliflower Fried ‘Rice’ recipe on the Healthy, Happy, Green & Natural Blog Hop! I’m pinning and sharing! Thank you Deborah! It’s one of my favourite dishes. Always a pleasure linking up, see you next week!